We use Word XP in this course, but the lessons are valid for all versions of Word from 95 to 2003. There are cosmetic changes in Word 2007. Order before 4/22/2019 to get a FREE upgrade to our 2007 version when released! This is the Big One! 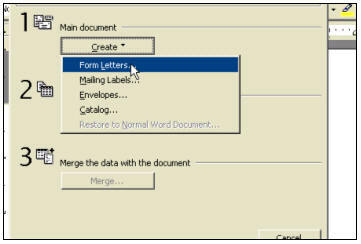 This is the most requested topic when it comes to Microsoft Word training: how to perform a Mass Mailing with Mail Merge. All of our Word students throughout the years have begged us to teach them Mail Merge, and in this course we will cover all of the details. 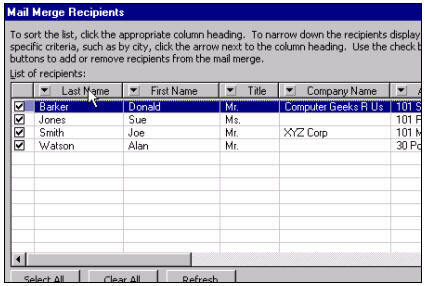 We'll show you how to Mail Merge using Word by itself, and also using data sources from Excel and Access. We'll also show you how to do a Mass Emailing using Microsoft Outlook. 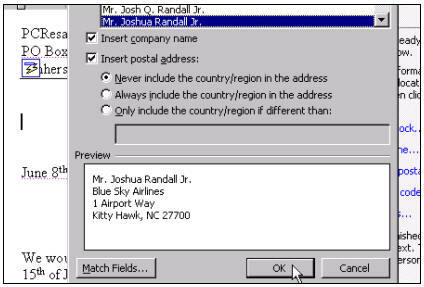 We will begin by learning about Mail Merge, what it is, and what you can do with it. We'll learn how to set up a basic form letter - we'll make it a sales advertisement. Then we'll learn how to set up a data source in Microsoft Word. 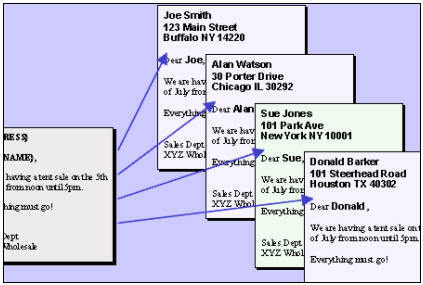 We'll create a small database of names and addresses to use in our mailing. We will learn how to sort and filter our data source records to manipulate the mail merge results. 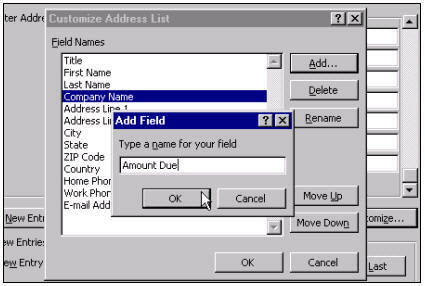 We will learn all about Merge Fields, and how to insert Address Blocks, Greeting Lines, and other Merge Fields into our documents. Next, we'll learn how to add custom fields to our data sources, so we can track other information besides just names and addresses - to truly customize our mailings. 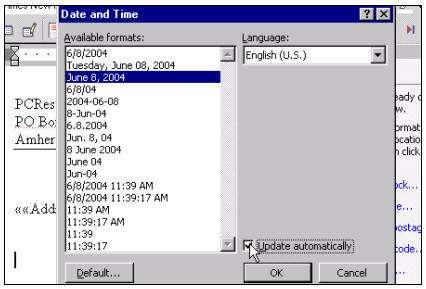 We'll see how to insert automatic date codes into our documents so that the date will update itself each time the mail merge is run. Our next project will be to use these two concepts to build a customized collection letter that we can send to our delinquent customers. 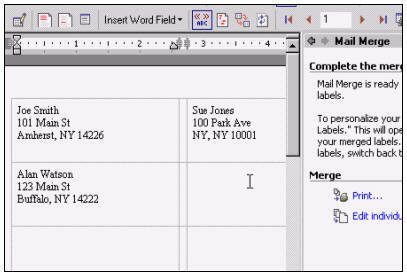 We will learn all about the different items on the Mail Merge Toolbar. Now comes the really cool stuff. Next, we'll learn learn how to create a data source in Microsoft Excel, and how to merge that information into a Word document mailing. No prior Excel knowledge is necessary (I'll take you through the basics step-by-step), but if you take Excel 101 first, you'll get a good jump on the material. 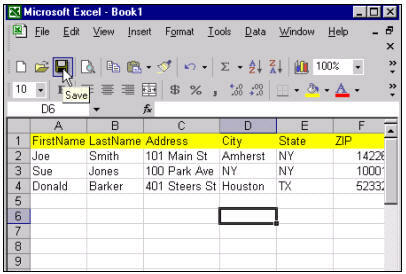 In the following lesson, we'll do the same thing using Microsoft Access. Access is a database program and is really the best tool of choice if you have really large mailings with thousands of recipients. Again, you don't need any Access knowledge beforehand, but Access 101 will help. Next, we'll learn how to use all of the Mail Merge techniques we've learned so far to generate Mailing Labels for all of our recipients. Then, we'll learn how to run through a Mail Merge without using the Wizard. We'll stick to just the Mail Merge Toolbar. Next, we'll learn how to use Word with Microsoft Outlook to send mass emails. No, we don't condone the use of spam, but sending out mass email bulletins to your customers or other folks who have opted-in to your mailings is a great way to build your business. 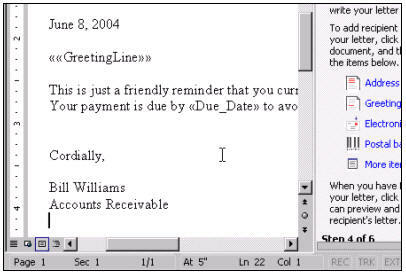 For those of you who still have Word 97 or Word 2000, we will run through a mail merge once using Word 2000 (which is almost exactly the same as Word 97). This will allow you to see the differences between 2000 and XP - which are mostly just cosmetic. Again, if you have any interest at all in mass mailings, whether you're sending letters, catalogs, brochures, late notices, sales info, or anything that needs to be customized and/or distributed to a large number of people, this course is for you. Heck, even if you're just sending out vacation postcards to twenty family members, mail merge can help you organize and produce your mailing. Don't miss this course. Richard on 1/1/2007: Mass Mailings with Mail Merge. Using Word only. Using Excel or Access as a data source. Mass Email with Outlook. 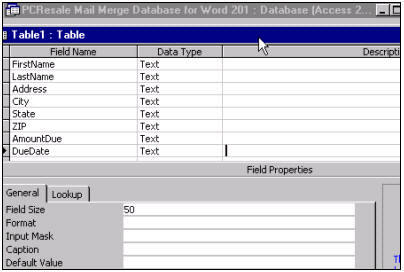 This is probably the single-most requested topic I get asked about when people want to learn Word... how to do a mail merge, which is taking a single letter and a list of people and MERGING them together to create multiple, customized letters - automatically.